In December 2013, Northern State University trumpeter Chris Massa walked across the Johnson Fine Arts Center stage with the rest of the winter graduates. Before the end of March, he was soloing onstage on the Las Vegas strip, at the top-ranked Stratosphere Hotel and Casino. Massa, who received his Bachelor of Arts degree in music from NSU, is featured instrumentalist with the popular Frankie Moreno show. 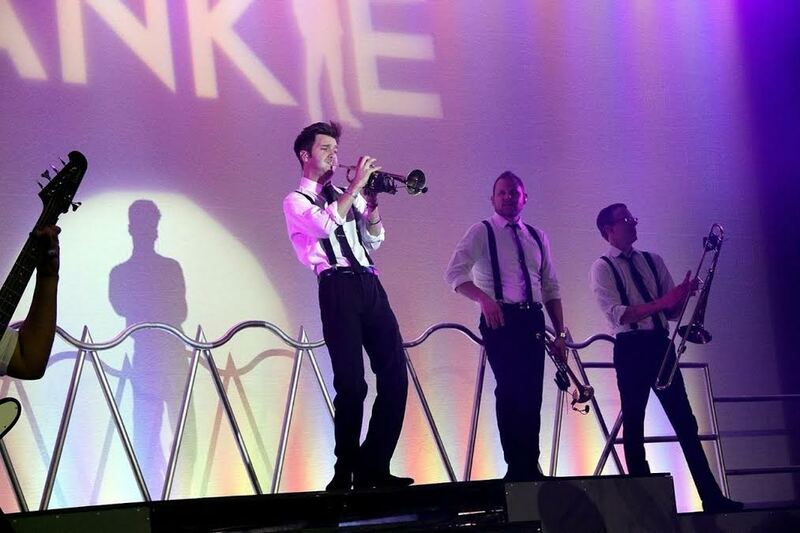 The Frankie Moreno show historically performs 35 weeks on the strip, then tours the rest of the year. Europe and major television appearances have been past venues. Massa, a Rapid City native who studied trumpet with NSU’s Dr. Grant Manhart, said he signed a contract through 2015. “I had visited Las Vegas several times during my last two years at NSU and made some valuable relationships, which paid off very quickly when an unexpected opening in Frankie Moreno’s show band came up in March,” he said. Massa had to memorize the entire 90-minute show in less than a week, and March 20 (2014) was his first night. He credits his experience at NSU with his success. “At NSU, my professors pushed me to be better, and in particular Dr. Manhart made me repeatedly imagine my success, pursue and create my success, free of fears and self-imposed limits,” Massa said. Massa performs on stage at the Stratosphere Thursday through Saturday in Las Vegas.